The sooner you start preparing for the new school term, the better. Sure, your youngsters may have only just finished the summer term but the 6 weeks break will fly by and before you know it, they’ll be packing their school bags and asking you to prepare their lunches again. Leaving things until the last minute is easily done, but if you want to skip the stress of stocking up on the new kit and equipment, get ready for the new term sooner rather than later. George’s school uniform shop is already brimming with a fabulous range of clothing for boys and girls heading back to school. 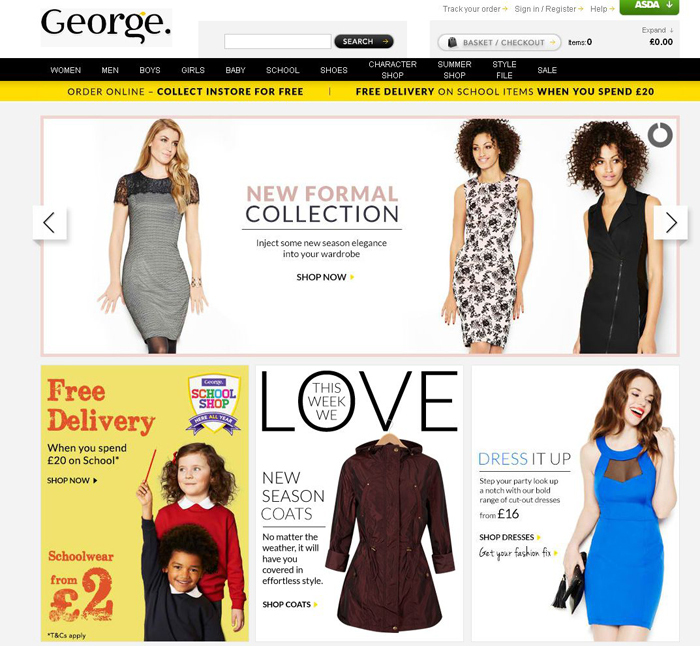 From the new starters to those making the transition to high school, George at ASDA can satisfy everyone’s requirements. Different schools require different colours of uniform and this is covered too, with all the major styles and colours on offer. If you’re stuck on what to buy, ask someone at the school for a comprehensive list of what your children need. From uniform to stationery and books, work off the list so that you can ensure all bases are covered. 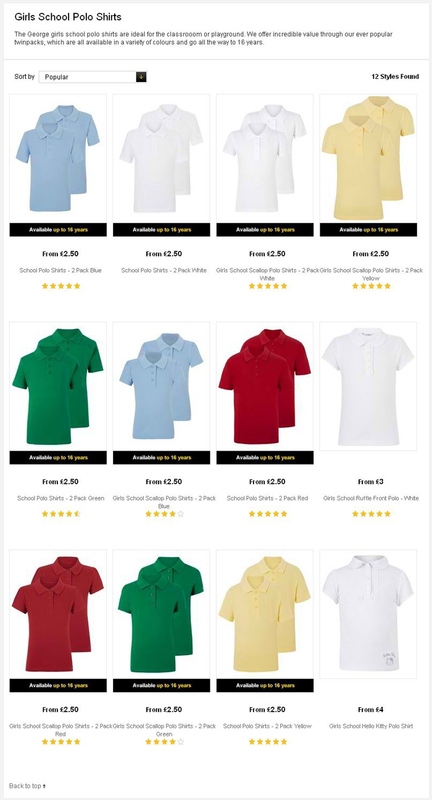 The uniform is the main thing to buy; make sure that there are enough items to compensate for when you need to do a washload and rather than buying everything emblazoned with logos, consider buying non-branded items too to save your cash. 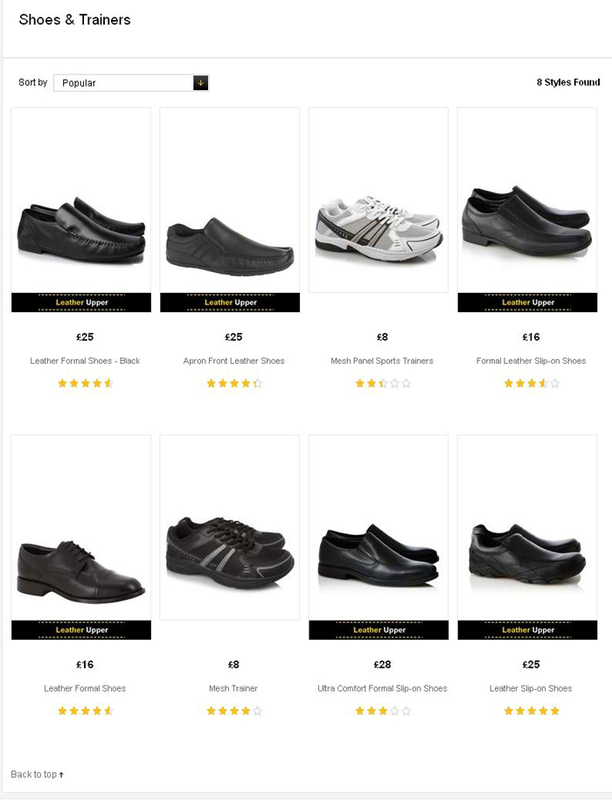 These are a staple part of most young kids’ uniforms and while you will be offered the chance to buy them with the school badge attached from the school’s suppliers, there’s no need to buy all of them via this route. Buy a few to make up the difference from the supermarket and you can save heaps. If they’re moving on to high school, it may be that a white shirt or blouse is part of the uniform instead of the popular polo shirts they wear during the primary years. You can pick these up from George too. 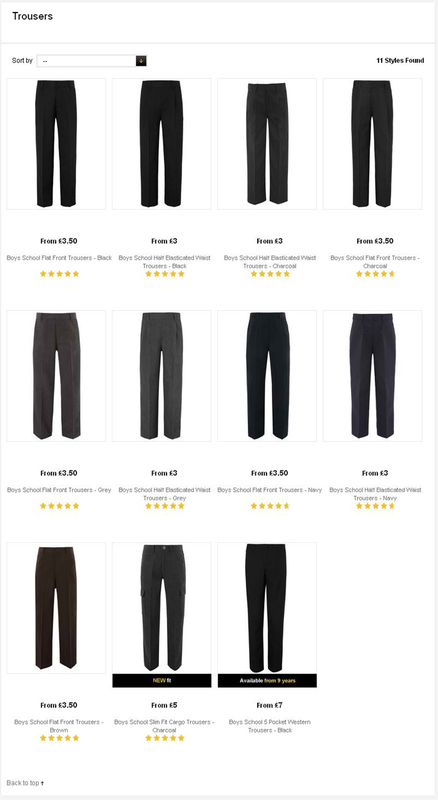 Every little boy needs some trousers as part of their uniform and these can be bought affordably to keep your bank balance happy. Flat front trousers are available so they’re easier to iron and elasticated waistbands ensure that they are long-lasting, too. Available in black, charcoal and navy, you will be able to find pairs to suit the uniform, easily. Pinafores are a fab addition to a girl’s school uniform, teamed with a pair of tights or some white ankle socks depending on the weather. Alternatively, school skirts are available to fit girls up to the age of 16, which would suit polo shirts and blouses perfectly. While you could buy ones directly from the school, there are plenty of cheaper options available that provide the same level of quality, just without the school badge. Cardigans and sweaters are essential during the winter months to make sure your children are warm throughout the school day. T shirts, shorts and plimsolls are the basic requirements of a PE kit and unless your child is taking part in a sport that requires specialist gear, it’s all you’ll need to buy for the term. Save buying these until the end of August, just in case your child’s feet grow in the meantime. Kit out your brood early and you don’t have to stress as September draws nearer!